On the way out of Orlando after four days of NBAA-BACE, the cab driver was most excited to talk about the Intermodal Terminal expansion continuing at Orlando International Airport (MCO). This mixed-mode commuting terminal will connect MCO to downtown Miami – an eight-hour-plus journey – via the Florida East Coast Railway. It will provide 19 new gates for domestic and international flights and increase capacity to more than 50 million passengers annually at Florida’s busiest airport. Located 10 kilometres from downtown Orlando, MCO in 2017 handled 44,611,265 passengers, making it the eleventh-busiest airport in the United States, with Southwest serving as its largest carrier. MCO provided an update of its passenger numbers for the calendar year-to-date, which had already reached 32.2 million through August, an increase of 5.39 per cent over the same time last year. It is another example of the growth cycle for airports across North America. In September, J.D. Power released its 2018 North America Airport Satisfaction Study, which saw MCO ranked first in the Mega Airports category (over 32 million passengers) for the second year in a row, tied with Las Vegas McCarran. MCO has 21,000 badged employees and generates more than $31 billion in revenue for the regional economy. Now in its 13th year, the 2018 J.D. Power study is built from the responses of 40,183 North American passengers who traveled through at least one domestic airport and considers five factors: Check-in; food, beverage and retail; accessibility; terminal facilities; and baggage claim. Upon releasing the report, J.D. 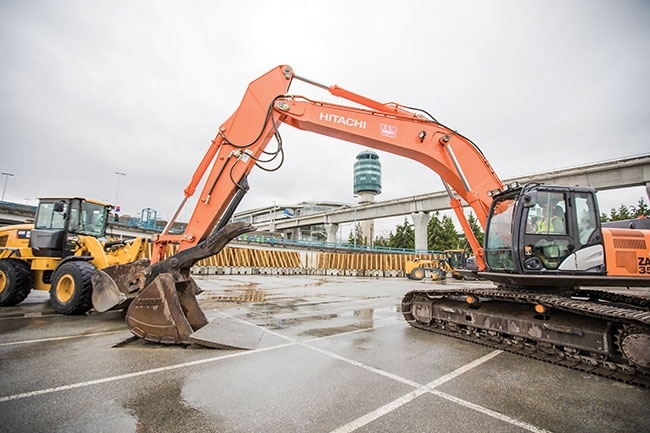 Power noted how well the airports are handling surging passenger numbers even as many undergo major infrastructure investments, including multi-billion-dollar construction projects in places like Boston, Los Angeles, Chicago and Vancouver (pictured). Passenger satisfaction across the board reached an all-time high at 761 (on a 1,000-point scale), 12 points higher than last year’s study. This improvement is driven primarily by a 17-point increase in satisfaction with food, beverage and retail; and an 18-point increase in satisfaction with security check. This latter improvement is largely based on airports working better with transportation authorities to align security staffing levels with airport load factors. The highest-scoring component of the airport experience, according to J.D. Power, is the check-in/baggage check, which has risen consistently since airports began implementing self-service kiosks and bag tagging. Looking at how Canadian airports rank on the study, Toronto Pearson was 12th in the Mega Airports category, scoring highest in airport accessibility and food, beverage and retail. Pearson in 2017 welcomed 47.1 million passengers and handled 465,400 flights, while processing over 45 per cent of Canada’s air cargo. John Wayne Airport, Orange County, came first in the Large Airport category with Vancouver International as the top Canadian airport in sixth place. Montréal-Pierre Elliott Trudeau was two back in eighth place, and Calgary International in 15th. Buffalo Niagara International Airport placed first in Medium Airports without any Canadian airports of this size in the top 20, even as smaller regional airports in Canada also experience significant growth. A recent report from the Southern Ontario Airport Network (SOAN) shows its group of 11 airports in 2017 facilitated the travel of more than 52 million passengers last year. Most of this volume comes from Pearson, but SOAN’s 10 other regional airports contributed to putting approximately $2.3 billion in tax revenue back into municipal, provincial and federal reserves. SOAN’s networked airports supported some 55,000 workers in 2017.